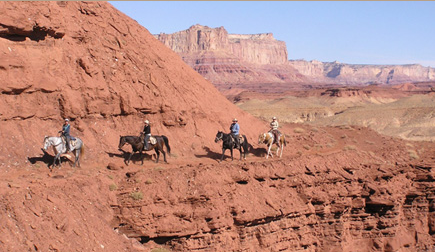 Great equestrian vacations to explore for 2011! 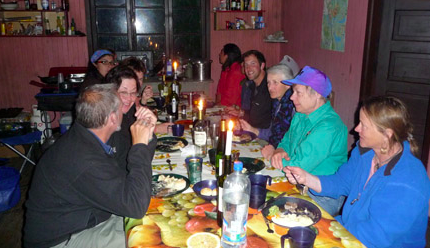 The only Lodge to Lodge Horseback Riding Trip to Machu Picchu in Peru. 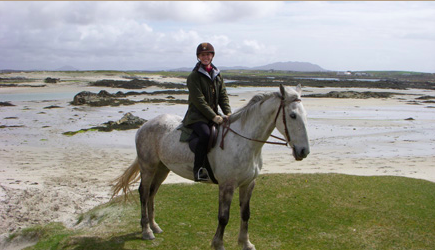 Dream Ireland horseback riding vacations! Travel to Ireland to ride and attend the Dublin Horse Show Aug 3-7th. Upcoming cattle round-up vacations at New Mexico Ranch February 6-11, April 3-8, May 29-June June 3, July 31-August 5, September 25-30. $1500. Cowgirl Camp Level 1 at NM working ranch February 20-25, March 6-11, March 20-25, April 17-22, May 1-6, May 22-27, June 12-17, July 10-15, August 14-19, September 4-9, October 23-28, November 6-11. $1500. Cowgirl Camp Level II April 24-29, May 15-20, July 24-29, October 9-14. $1500. Sign up for the special Dressage Clinic in Spain with Olympian Rafael Soto Feb 13-20 in Spain. Popular Irish Castle & Monastic Ruin Ride April 16- 21, May 14–19, June 11–16, July 2-7, August 20-25, September 17-22 and on request for groups. 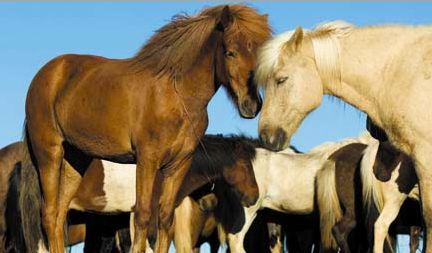 Iceland trips kick off June 11th with the 8 day Golden Circle Ride. $2,149. May 29- Petroglyphs and Pictographs on Pleasant Creek Gorge. Utah's San Rafael Swell April 21- Wildflowers & Wildlife/Wild Horses in the Hondoo Country. April 28- Wildflowers & Wildlife/Wild Horses on Muddy River Gorge. 6 days $1490. 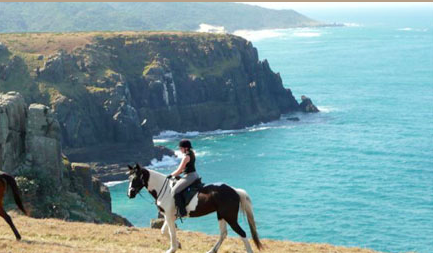 Australia Bush & Beach 7 days $2,800. Ireland’s famous Connemara Trail 6 days $1,821.67. 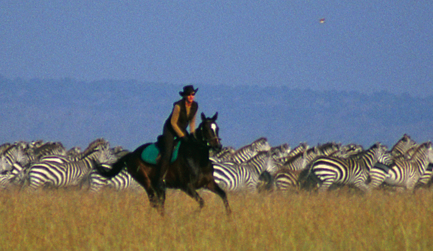 Kenya 10 night Mara Safari 11 days $7200. 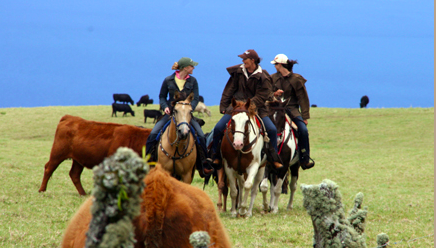 Ecuador Volcano & Haciendas equestrian vacation: 11 days Feb 9-19, March 16-26 $2450. 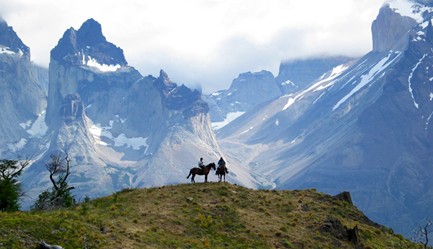 Explore on horseback! 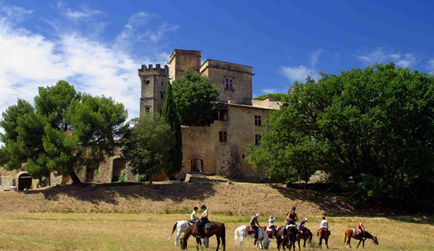 Mallorca Island Adventure Ride 8 days- Explore the magical Spanish island of Mallorca on horseback. Trail ride to beaches, through historic villages, pine forests and bright blue bays on this island adventure ride. Spain Coast Trails- Ride Spain's coast through a mixture of forest, beach and countryside trails. Enjoy riding, shopping, eating and living life to the fullest, French style on these fall and winter rides in Provence. 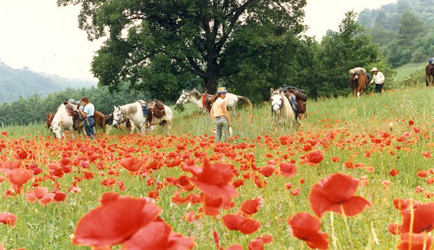 Explore countryside made famous by Cezanne and author Peter Mayle. Those who wish, can combine riding with French lessons! 7 days 6 nights – 5 days of activities. Shared rooms with double or triple occupancy $1,181.13. Ride inn to inn through the pictureaque Luberon hills and historic stone villages perched high above oak forests, lavender fields, vineyards and colorful cliffs. Written about in Peter Mayle's best-selling "A Year in Provence," this is one of the most exquisite natural areas in France. 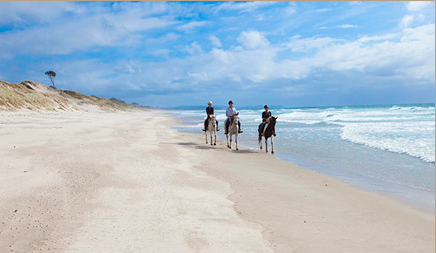 The Surf and Turf safari is designed for those who love riding, wildlife and the beach. 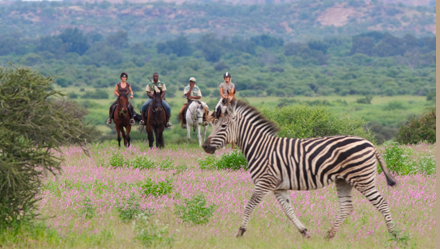 Enjoy four days along South Africa's Wild Coast, followed by four days of exhilarating game viewing on horseback deep in the Waterberg mountains to complete your African experience. This vacation suits experienced riders who wish to combine local culture and comfortable accommodations with outdoor riding adventures. It is designed for those who prefer not to camp. 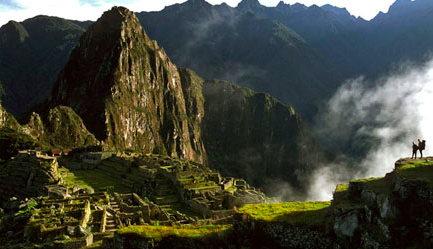 Starting at $971 per person double occupancy spring/ summer and $1071 winter 2011. Great for riders and non-riders, this self drive tour is available year round (subject to availability). 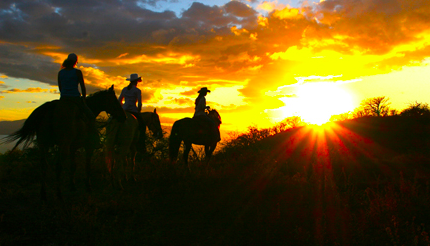 Includes three different horseback riding adventures on the Big Island, four nights hotel and breakfast daily at the Hilton Waikoloa Village, a car rental for entire stay, and all taxes except on the rental car. We've had several travelers combine the Big Island with Maui, for a truly dream vacation! $1043 per person double occupancy. 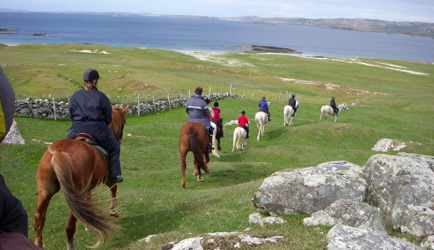 This special self-drive package is available for 2 or more riders in your own self-formed group. This self drive tour is available year round (subject to availability). 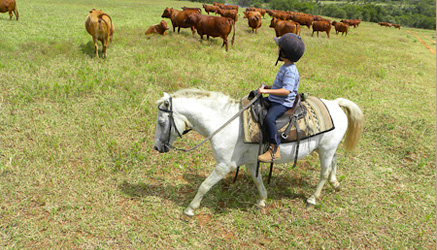 Includes three different horseback riding adventures on the Maui, 4 nights hotel and breakfast daily at the Kaanapali Beach Hotel, a car rental for entire stay, and all taxes except on the rental car. 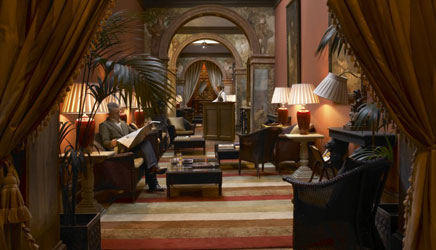 5 Days/ 5 Nights Starter Pack- through April 30, 2011. $1,268.73. 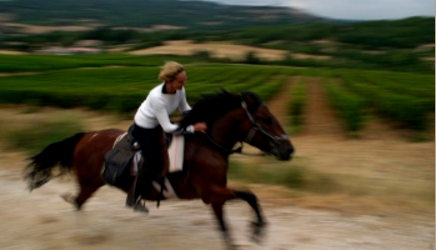 This 5 day package includes 3 hours riding per day and 5 Nights Bed & Full Breakfast. Each day, riders experience a 30-minute lesson on Prince, the Horse Simulator, join a group lesson and also enjoy a two-hour trek. Find more great options for horseback riding vacations on EquitrekkingTravel.com's Deals page, using the Trip Finder or contacting Julie Snyder, EquitrekkingTravel.com's preferred provider of travel services, who has enjoyed many of these riding holidays herself and can help match you with a vacation that suits you, your group of riders and non-riders and friends. Contact us toll free 877-490-7786 within U.S. and otherwise + 608-788-0170.